Assurance Tax & Accounting Group is here to help all individuals and businesses become more financially responsible and that begins with tax preparation. Many people and businesses view tax preparation as a pain and very tedious, but if necessary steps are taken the time it takes to prepare taxes can be cut in half. Having a plan in place or following a few calculated tips can help any tax filer do a better job at preparing their documents before coming in to have their taxes filed. The tax tips below will help you become more informed and make better decisions when preparing your tax return. Develop a checklist of the items you need. Before starting the tax preparation process make sure you have and the information and documentation you need. Use our reliable tax preparation checklist that can give insight into the what you need to prepare and file your taxes. The last thing you want to do is get started and find out you can’t complete the process because you are missing documents. Review previous year returns. Oftentimes you can speed up the tax preparation process by looking at what you did the previous year. If you situation has not changed drastically (i.e. getting married, divorced, moving, changing jobs, having kids, etc. ), then you may be able to use quite a bit of the same information for your current tax preparation. Don’t rush your preparation. The last thing you want to do is wait to the last minute and not have all the information or documents you need to complete your taxes on time. Don’t procrastinate since this can cause mistakes on your return or if you are using a professional accountant, they may charge you more for their services the closer to the deadline because of the rush that may be required to complete your taxes. If you make a mistake by rushing you could cost yourself money in your return or trigger an audit. Do your research. The tax laws change often and what you did the previous year may not apply for the current year. Many deductions change from year to year and you need to be knowledgeable about the change or run the risk of wasting time on items that don’t apply. Speaking with a tax accountant is a good way to understand the tax changes that may have taken place. Always review your work. Never submit your tax return without first looking over the documents with a keen eye. Errors can delay the acceptance of your return by the Internal Revenue Service (IRS) and you may trigger an audit if the errors are substantial. Don’t rely on the tax accountant to be the final reviewer, take that into your own hands and review all the pertinent information that make up your tax return. Get professional assistance if needed. Sometimes it may seem easier to do taxes yourself, but unless you are skilled at doing them then you might be doing yourself a disservice. If you leave out certain items then you can lower the amount of return you should be due. Not knowing the current tax laws can cause you to input incorrect or unnecessary information. If you have gone through a major life event (having a child, getting married, getting divorced, moving, changing jobs, etc. ), then you want to make sure to consult a tax professional to get the best information possible for your situation. Start preparing in January. You should begin preparing for your tax submission at the beginning of the year for the following year. One of the reasons tax preparation takes so long or is so tedious is because people are not as organized as they should be. Think about all the documents you will need for the following year and organize them in a safe secure place so when the time comes to prepare your taxes you are ready to go and you will spend less time during the process. Tax preparation can go a lot smoother than you think when you have everything in order and you are prepared for the process at hand. 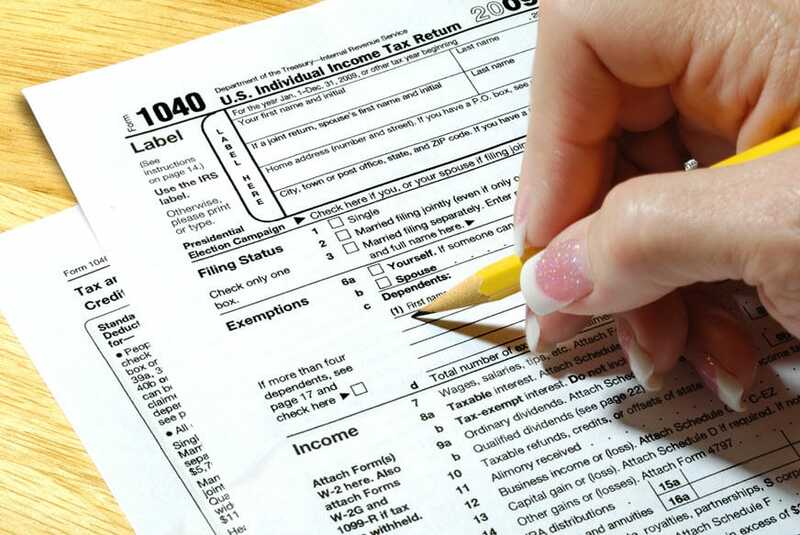 The tips above will help you better prepare for tax filing season and make your job a lot easier. If you have any questions regarding your situation give our tax professionals a call so we can get your questions answered.